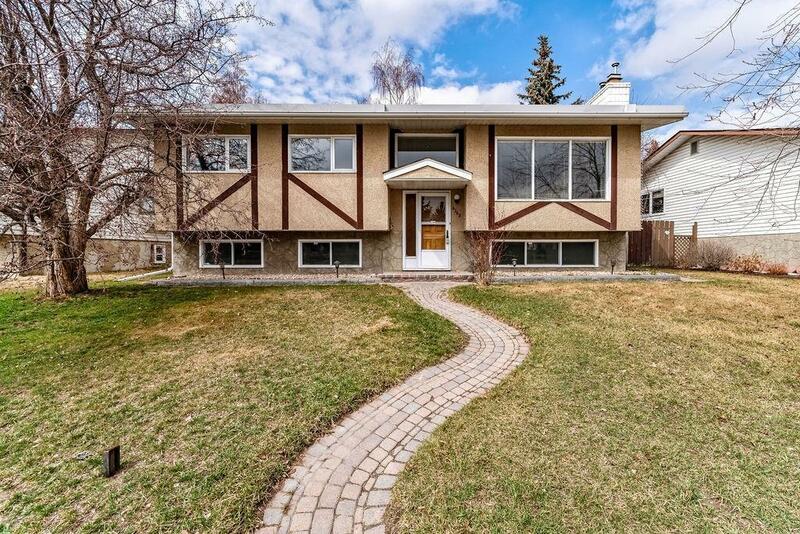 Absolutely wonderful property located on a quiet, family friendly street! TRIPLE GARAGE which has 1 in-floor heated bay plus, concrete RV pad on the side. This 3 Bedroom, 2 full bath home with AIR CONDITIONING has had some very nice updates over the years that are sure to impress. Open the front and you will feel at home right away. 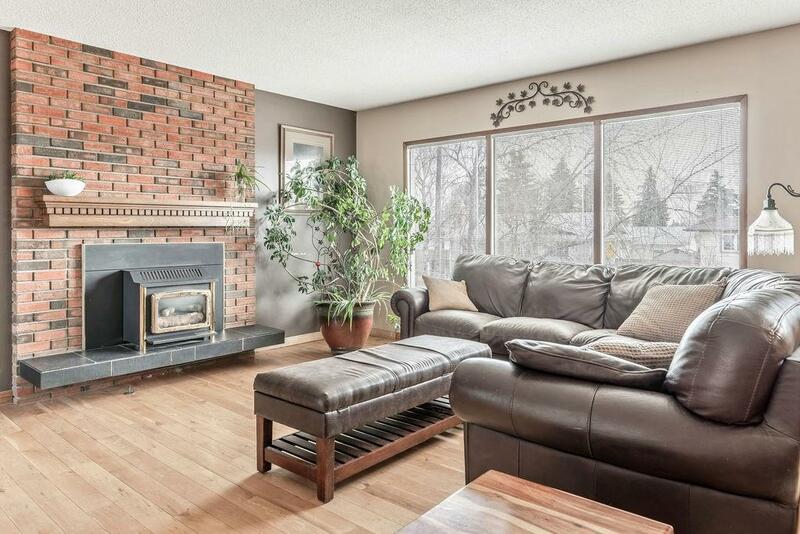 Hardwood across main level, spacious living room with fireplace. Large kitchen with granite countertops, Black appliance package, large skylight, large WEST facing windows and lots of room for the growing family. Dining area is open to the living area and kitchen. Master bedroom w/ beautiful 5 pc ensuite shared bathroom. 2nd and 3rd bedrooms complete the main level. 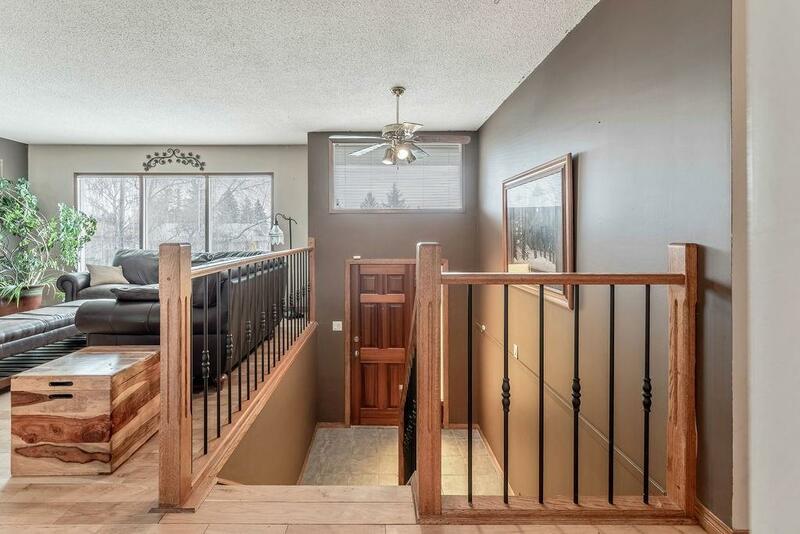 Basement has large windows, very large Rec Room with Pool Table and Bar Area plus a very large 2nd Living Room with another fireplace for those cool winter nights. 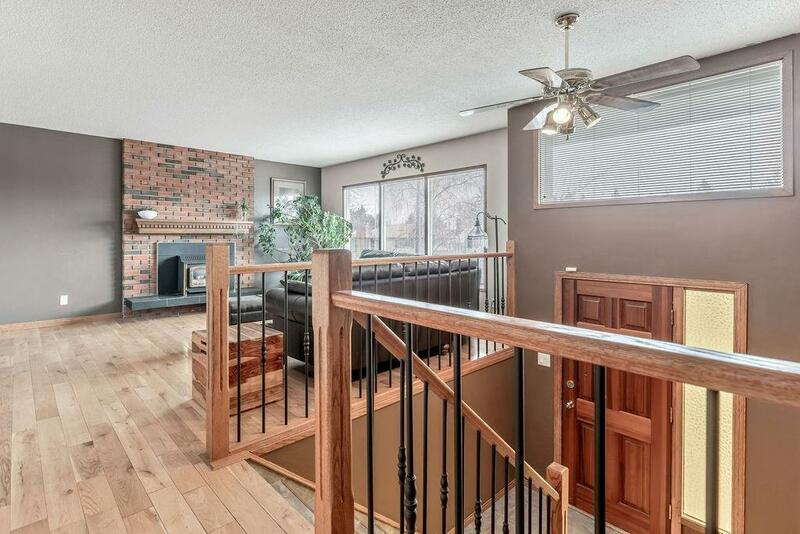 Outside you will love the covered deck, large backyard and the amazing triple car garage. Only 2 owners in its history, pride of ownership. Call today!